From a million miles away, a NASA satellite caught this unusual view of the moon and Earth moving through space together, but from a flipped perspective from the one we usually see. NASA’s Deep Space Climate Observatory (DSCOVR) satellite grabbed these shots while taking footage designed to monitor earth’s atmosphere and it’s an unusual look at some familiar objects. You do, of course, occasionally see pictures and footage of the moon’s other face—but it’s unusual to see the dark side looking so, well, bright. That’s due, in large part, to the position of the satellite where the pictures were snapped from, right between the Earth and the Sun. 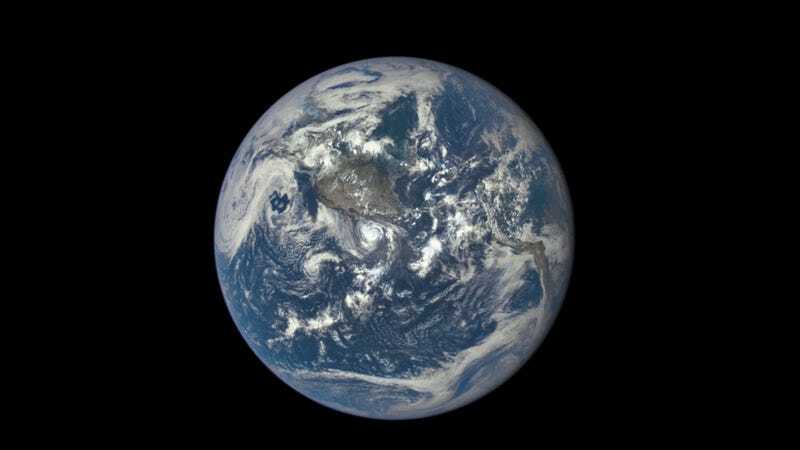 This is the first time the satellites camera has caught this particular view, but now that DSCOVR’s camera is up and sending back daily images of Earth’s atmosphere, we should see this vantage point again a couple times a year.